The Android Market is full of apps vying for your attention- some good, some just okay, and some plain horrible. Here are a few top and must-have free apps for Android Based Cell Phones in May 2011. Talking Caller ID is not only a useful tool for people with visual impairments, but is also a great tool for people who would prefer to hear the caller’s name or number instead of looking at the phone- for example, while driving or engrossed in important work. 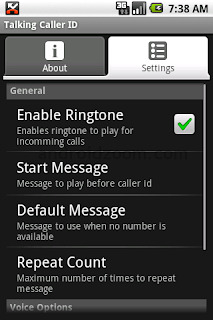 The app allos user to customize the start message, the voice speed and pitch, and even accent. Here is an app to read out text messages. It can be quite helpful for people who cannot read small fonts. 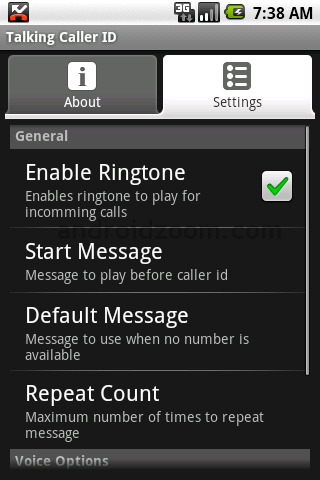 It works in conjunction with the Talking Caller ID app. 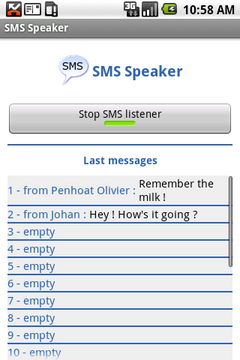 Also SMSpeaker now uses Google’s donut Text-to Speech library for improved audio quality. This app displays the lyrics of the current song being played on your phone and can be used by people who are hard of hearing, or those who find it difficult to keep track of the lyrics. It even support Last.fm among other music recommendation services. Other features include customizable themes and the option to edit lyrics. I will be posting some more hot Android apps soon. Stay Tuned! 0 Respones to "Top 3 Android apps, May 2011"